(0 Customer Reviews) | Write Review 12 issues per year Esquire, one of the world's most recognised heritage magazine brands, has always been for the man who is current, switched on and stylish. The Esquire Singapore app is the perfect source to entertain, inspire and inform; to give stories that matter to Asian men and inform their interests. Now with the app version, a good thing just got even better. Esquire, one of the world's most recognised heritage magazine brands, has always been for the man who is current, switched on and stylish. The Esquire Singapore app is the perfect source to entertain, inspire and inform; to give stories that matter to Asian men and inform their interests. Now with the app version, a good thing just got even better. You'll receive 12 issues during a 1 year Esquire Singapore magazine subscription. 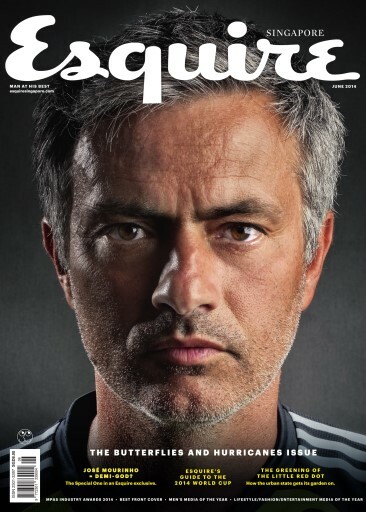 You'll receive 12 issues during a 1 year Esquire Singapore magazine print subscription.